If you’re not sure how often you need to change the air filter in your home—and you’re not even sure why it’s so important—you’re not alone. 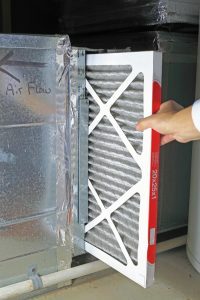 To be honest, most of the people we talk to about the air filters that serve their air conditioning systems (and heaters) are misinformed about many aspects of their purpose and how to maintain them. Today, we want to clear up some misconceptions. Changing the filter regularly can actually help to prevent air conditioning repair. Our repair technicians hate to see repairs that could have been prevented, which is why we feel it’s our duty to help. Posted in Air Conditioning | Comments Off on How Often Should I Change My Home Air Filter?